UB2 Norwood Green Efficient Rug Cleaners | RDA Cleaning & Maintenance Ltd.
Make sure to do everything necessary to maintain your stylish rugs in top condition. Naturally, the first thing you need to think about precisely is what is the most effective rug cleaning approach. Well, certainly it is not the one with materials at hand. Better, opt for professional rug cleaning services in Norwood Green UB2. Depending on the rug type you have, either deep dry or steam rug cleaning Norwood Green UB2 will be performed. Steam cleaning (also called hot water extraction) is done with a powerful professional hot water extraction machine. First, the rug is shampooed and then rinsed off. During the process, 95% of the water used is extracted back into the machine. This allows for quicker drying and less risk of ruining the rug and the floor beneath it. RDA Cleaning & Maintenance Ltd. has proudly served the people and business owners for over 8 years now. We provide our growing number of customers with high-quality and affordable deep rug cleaning. We use only the highest quality, safest and environmentally friendly cleaning solutions and stain removal products. Our rug cleaners Norwood Green UB2 are experienced and trained to safely clean all kind of rugs - from the least expensive to the antique and high end ones. Remember, that our home and office rug cleaning service is fully insured. 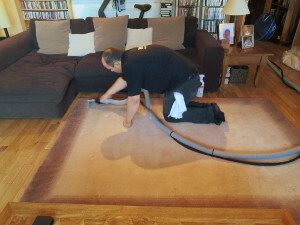 Expert Rug Cleaning Service In Norwood Green UB2 - Book Now! To make a direct reservation for an expert rug cleaning Norwood Green UB2 session, just use our online booking form. Fill the gaps and apply for an order. To get more information dial this phone number 020 3404 1646 today!